Do you have what it takes to suit up in for duty on the USS Enterprise in the Star Trek Beyond? Things have changed a little bit in this new version of Star Trek, and right along with it, their uniforms and badges. So, you better get your costume right! 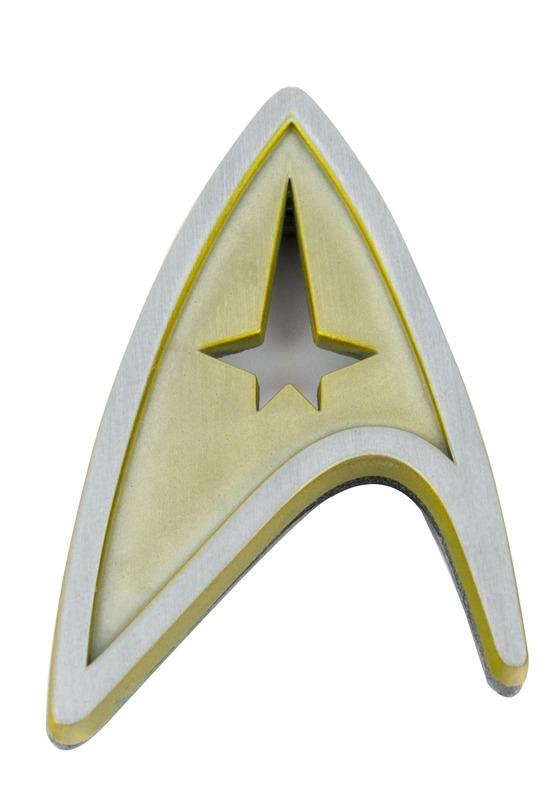 We have the gear to suit up just like Chris Pine as Captain Kirk, and after you've got the costume, you can complete it with this authentic Command Insignia Badge. 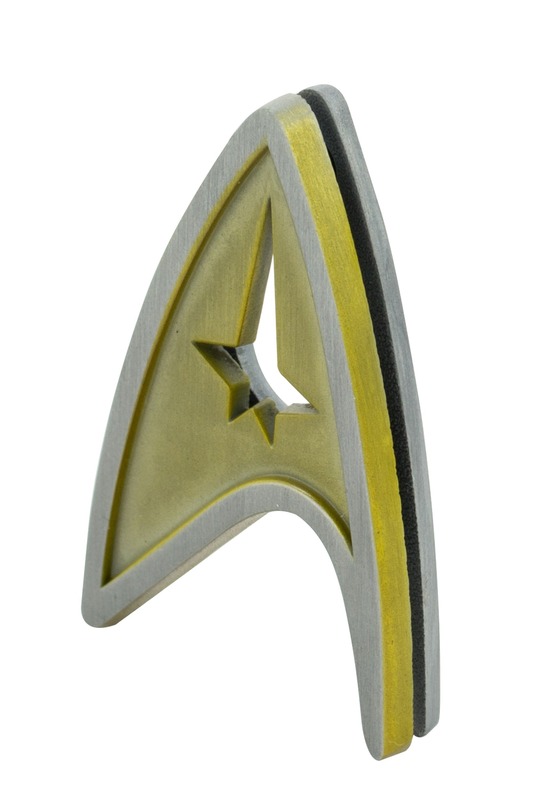 An officially licensed screen replica, this badge secures to your costume to add an extra touch of movie awesomeness. Of course, you could just collect this badge or even wear it every day. Because you never know when you might get called into Starfleet action! 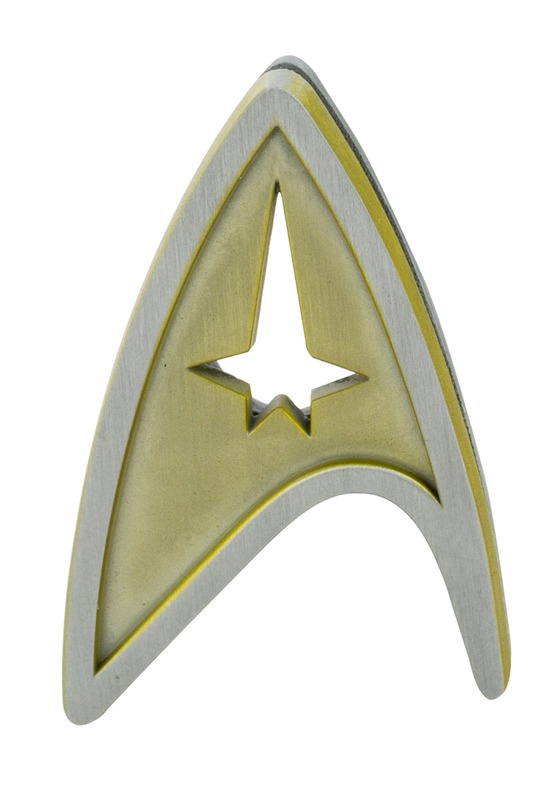 Beam yourself up and add this sweet accessory to your Star Trek costume. 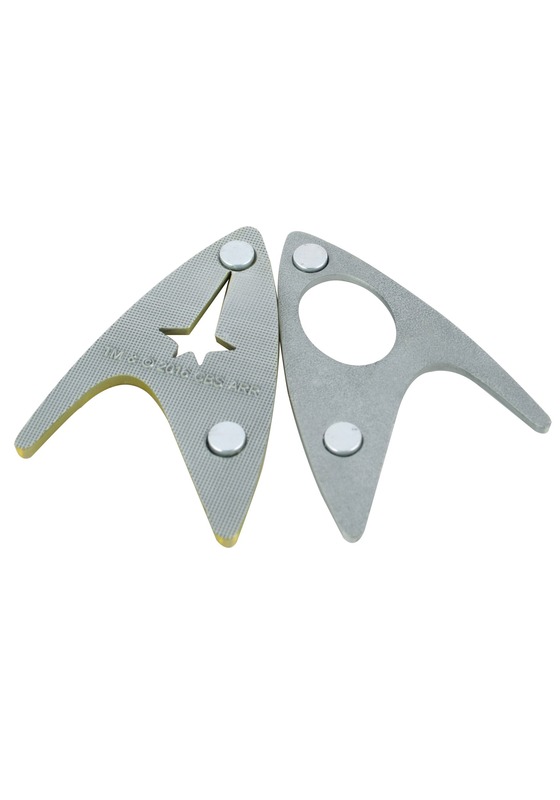 It's a screen accurate replica, and secures on any shirt with magnetic force. 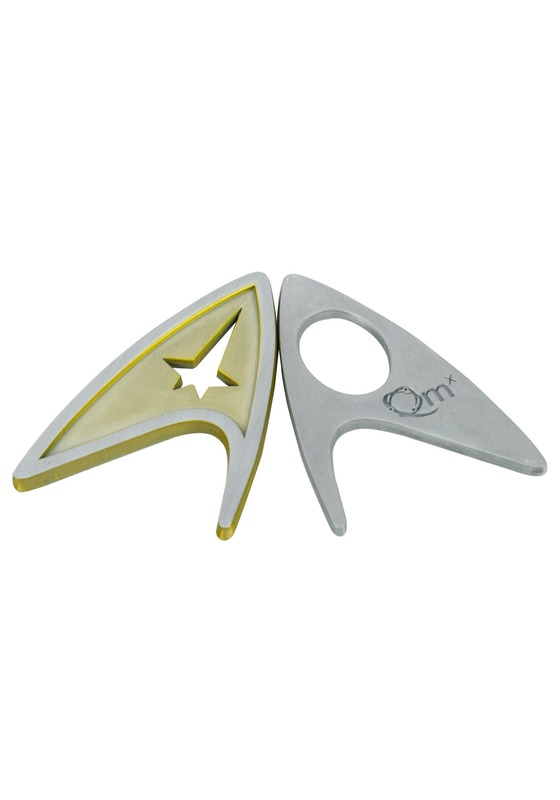 It's officially licensed and the perfect way to get yourself into fast-paced action of Starfleet!